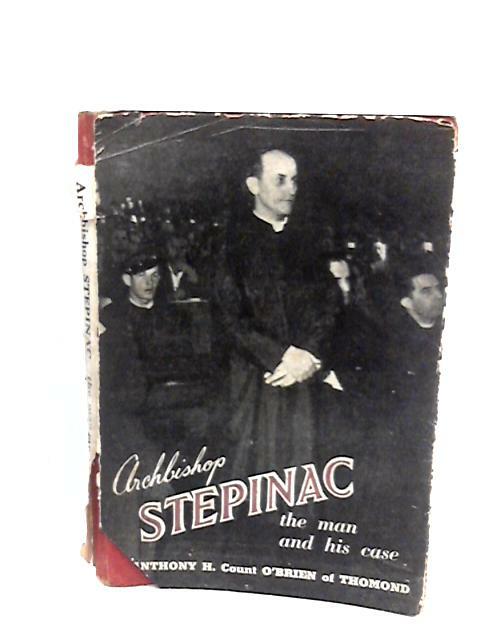 Archbishop Stepinac: The Man and His Case by Henry, A. 1947. 83 pages. Pictorial jacket over red boards. B&W photographs. Front paste-down is missing. Light tanning and foxing to text pages with light tanning, water marks and foxing to endpapers and text edges. Photographs are neat and clean with light tanning and foxing to text page. Uneven text pages. Small bumps to corners. Few dog eared corners. Slight lean to spine. Softening to spine with mild bleaching, sunning to spine, boards and edges. Water marks to spine, boards and edges. A few marks, wear and bumps to spine ends, boards and edges. Small bumps to corners with bumps to boards edges. Fair wear to dust jacket with tears, nicks and creases to the spine, edges and corners. Foxing and tanning to jacket with light water marks.